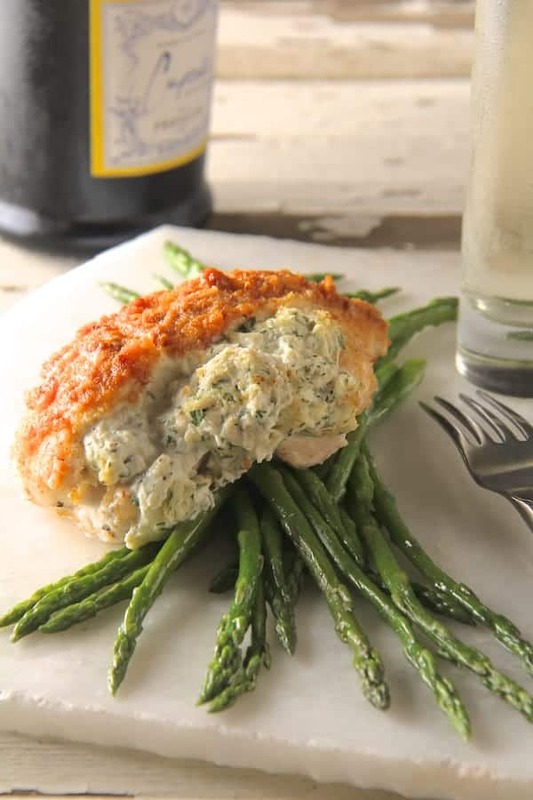 Crab Stuffed Chicken Breasts - An elegant dinner for two! 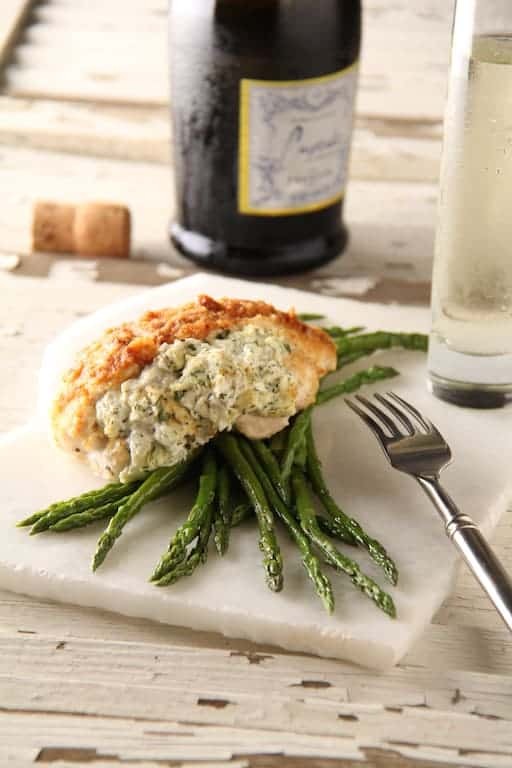 Crab Stuffed Chicken Breasts are easy enough for a weeknight yet elegant enough for a dinner party. The busy Labor Day holiday weekend is approaching and there’s nothing better than celebrating with lots of family and friends. However, a holiday weekend can get very busy! If you and your loved one are like my husband and me, you like to set aside some time over a holiday for a nice dinner with just the two of you. My crab stuffed chicken breasts are perfect for a holiday or special occasion, yet easy enough for any night of the week. I try to be careful about where my fish and seafood come from when I purchase it personally and for my clients. A good resource to consult about how crab is sourced is seafoodwatch.org from the Monterey Bay Aquarium Seafood Watch program. Although all the crab sold worldwide is wild-caught, I prefer to stick with crab that comes from U. S. waters. In some parts of the world, the crab is caught in ways that are illegal, not environmentally friendly or use unfair labor practices. I also avoid any product labeled “imitation crab,” which is usually Alaskan pollack. The same goes for chicken—I purchase free-range organic or at the very least, all-natural hormone and antibiotic-free chicken. You’ll need to cut the chicken breasts to form a pocket for the filling. 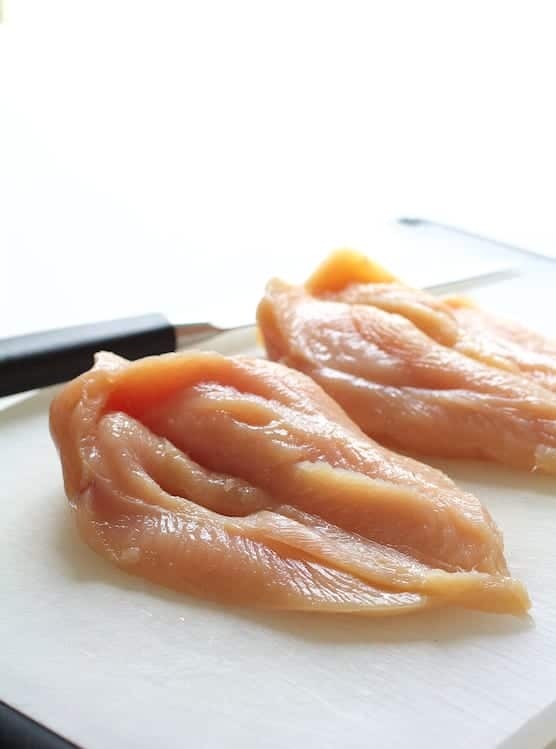 If you have time, partially freeze the chicken; it’s much easier to cut the pocket. The filling comes together quickly. To make ahead, stuff the chicken ahead of time and refrigerate covered up to four hours. The best way to determine whether a protein (especially chicken) is thoroughly cooked is with a good meat thermometer. Keep in mind that because the filling is in contact with chicken, it too must be cooked to the safe temperature of 165 degrees. Serve this dish with rice pilaf or orzo and your favorite seasonal green vegetable and simply enjoy each other’s company! 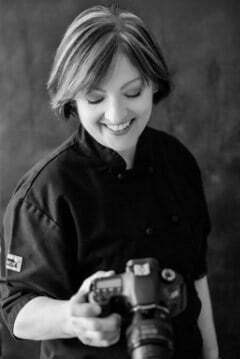 Thank you, hope you enjoy and please share this From A Chef’s Kitchen reader favorite! Combine first 7 ingredients in a small bowl. Gently fold in crab. Season to taste with salt and black pepper. Cut horizontally through the center of each chicken breast, creating a pocket, being careful not to cut all the way through at any point. Fill each pocket with equal amounts of the stuffing. Secure with toothpicks. Dredge each piece of chicken in the breadcrumbs and place on a baking sheet. Spray the breadcrumbs with cooking spray to moisten. Bake for 22 to 25 minutes or until cooked through to 165 degrees in the center of the filling. Remove toothpicks and serve. MAKE AHEAD: After assembling, cover and refrigerate up to 4 hours. Hi, Karen, Sorry this didn’t work out for you but I think you have some great ideas to make it your own. Everyone has different tastes. Thanks again for giving it a try and for your feedback. I have done this recipe in a crockpot. Just do the same except instead of baking until done, I brown in a skillet then put in crockpot. Then I make a cream of mushroom soup and cream of chicken, add milk and pour over top of chicken. Set on low let cool about 4 hours or adjust until fully cooked. The gravy is great over rice and chicken. Everyone seems to love it at my house. You can season gravy to your taste too. Hi, Charlotte, That’s great! I love when people make a recipe their own. So glad you’re enjoying and it sounds delicious! Is there a sauce I can make to compliment further? We are a family with food allergies and celiac disease. This recipe is wonderful and I believe can be modified to accommodate our family needs. Looking forward to making this for our Christmas dinner!!! Thank you for posting. Hi, Dorothy, Hope you enjoy. Yes, depending upon the food sensitivity, it sure can be modified. For celiacs, just use gluten-free panko or breadcrumbs. You could even leave them off. Thanks so much and Happy Holidays! Presentation is great. I think I will try this one very soon. That looks very good! I love crab – and chicken and asparagus for that matter. The presentation is great: it looks like a small octopus. I dig it!